High ceilings make this villa appear more extensive than expected yet compact. While the current owners used the property as a rental, new owners may wish to house out-of-town guests at this resort property or use the condo as a mother-in-law suite or your own home. The sunny community also appeals to residents who prefer an affordable lifestyle in the midst of the country club amenities. The community boasts more than 80 pristine lakes and waterways and preserve areas. There are approximately 17 miles of roads, 14 miles of sidewalks and bike trails, and a 1.7-mile fitness trail that winds throughout the community. The Meadows Country Club adds to the quality of life with excellent dining options, meeting rooms, and programs as well as beautiful open spaces in three 18-hole golf courses, 16 lighted Har-Tru tennis courts, and pro shops. The community is NOT age restricted. 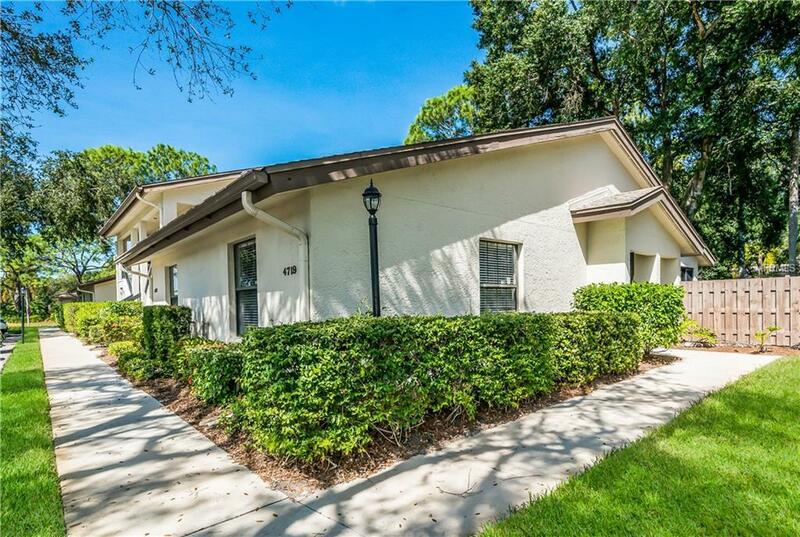 Located close to downtown Sarasota, University Town Center, Lakewood Ranch, and the beaches.